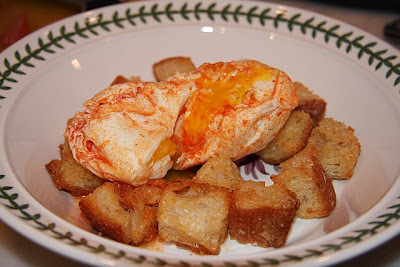 I made Tomato Soup w/ Poached Eggs & Croutons last night. I took some very pathetic photos of the process. It was so good that we all gobbled it up and went back for seconds, even my 2 year old! 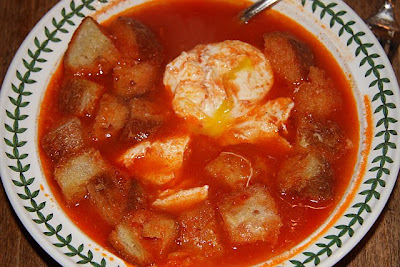 I don't know that I will ever eat tomato soup again without a poached egg in it. It's just too yummy to skip. 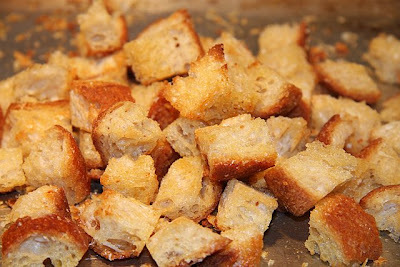 And the croutons are like crack. Even after dinner we couldn't stop munching on those. THIS looks so good! Will def. make it!